First things first. I didn’t do great this week, but I’m trying to be more obedient… So I’m only sending one email home, and I really should be getting emails through my parents. So, if everyone could send the emails to Mom (hsleake @ gmail.com), she can send them to me. Well, well. This week felt a little longer than usual. Oh wait, it’s Tuesday. I guess it was longer 😛 We tried to come to the internet place yesterday, but internet was down the few times we tried. So no dice there. But it works today, so I can’t really complain. Last week is a blur. Monday and Tuesday passed really quickly, and I hardly even remember what happened. Wednesday morning, we got up at 2 am to get to the bus to get to Quelimane. After a long, crowded bus ride (a lot of people stood up for most of the 9 hour ride!) 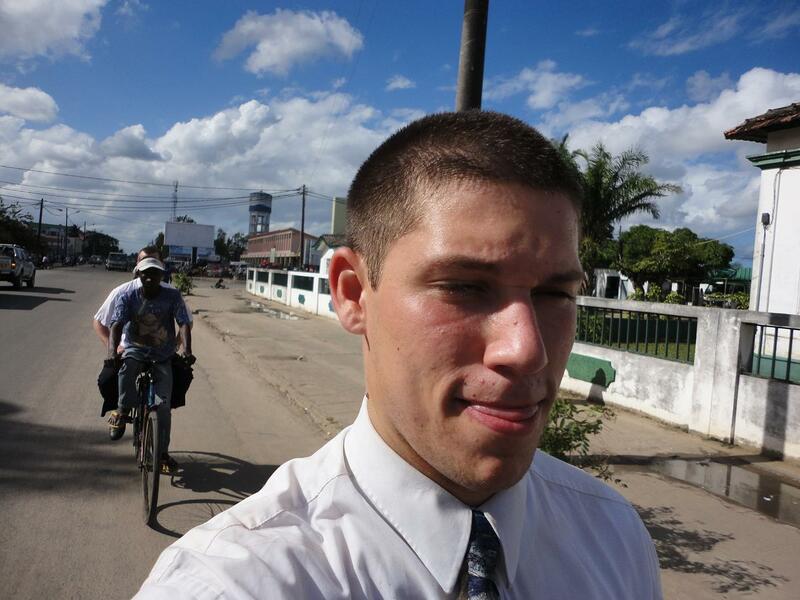 we finally got to Quelimane around 1 pm. We walked through puddles to get to the elders’ house… Luckily I didn’t fall in 🙂 But it was a struggle for sure. We spent a good portion of that day running around with the elders doing contacts in the city. Elder Coombs and I got a bunch of awesome ideas from them that we have started using this week. Thursday was zone conference, and it was awesome. It was President Spendlove’s last :(. I’m excited for the new president, but I’ll definitely miss the Spendloves. (They leave at the end of this month). 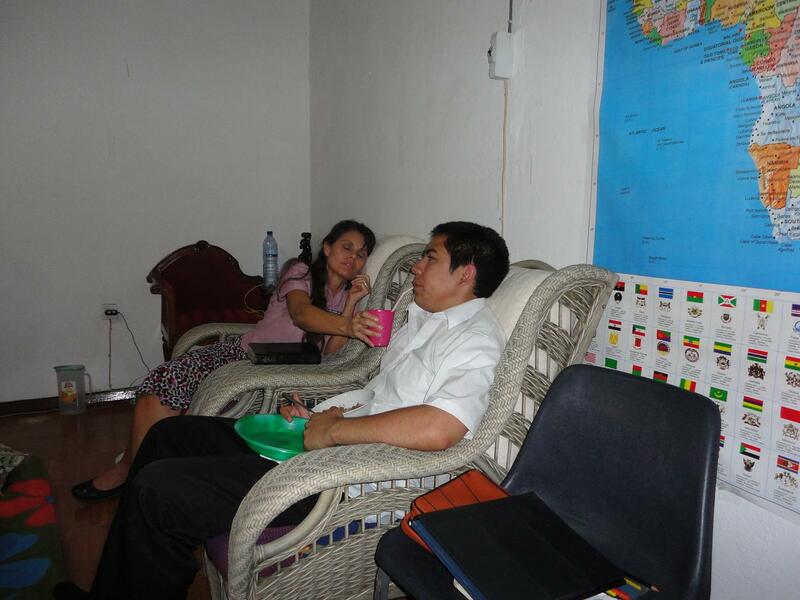 We also watched a movie as a zone activity, Amazing Grace. It was super good; I recommend it to anyone. Friday morning, we were up again super early. We were super happy, though, because the bus was empty. I fell asleep on my own row. Only to be awakened some time later, because we had to move buses. 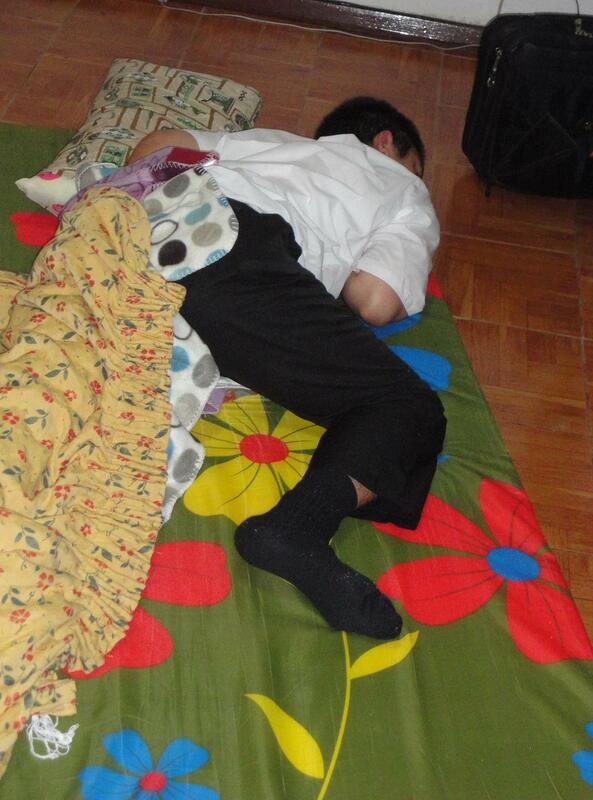 This one was even more full than the first… I stood up for about four hours, then Elder Coombs took my place. Yikes. I tried to call home on Saturday, but the reception was bad… Oh well, I got to talk to some of you anyway 🙂 Love you all! Sunday… We took care of primary. Then we went to go visit some people that didn’t show up to church. We also had correlation (which is getting awesome, thanks to Agostinho). Elder Coombs and I are hard at work today, and this week. We’re doing something I’ve never done before in my mission: knock doors *gasp*. But I’m excited. It’s been fun. 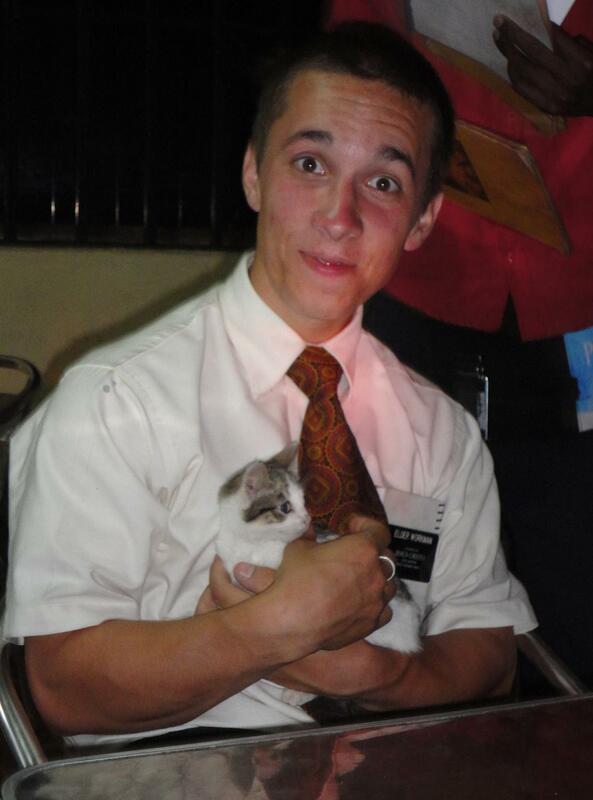 Elder Workman at dinner Wednesday night with a kitten. They ran around us all throughout dinner. 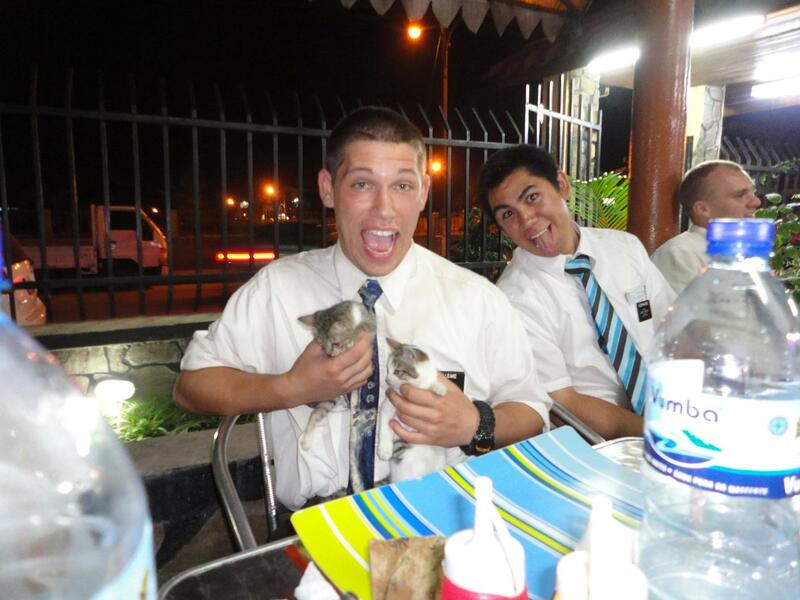 Elder Maynez (before malaria) and I at dinner, with kittens.